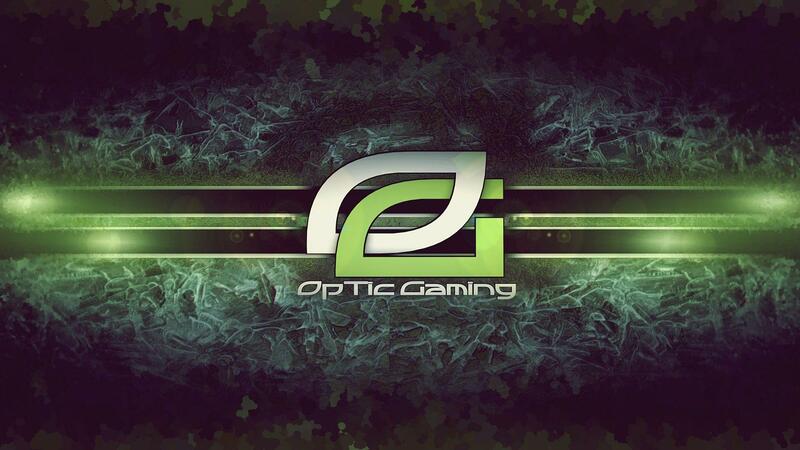 On January 4 2016, Optic Gaming ventured into new territory – Counter Strike: Global Offensive. In their relatively short life span, Optic has come quite far. Throughout their life span before tarik’s arrival they managed to finish 5th at the ESL Pro League Season 3 finals, qualify for the first season of ELEAGUE, qualify for ESL One: Cologne 2016. At the time, I was impressed with Optic, especially at the fact they were able to qualify for the major ahead of their North American counterparts Cloud9. Despite Optic being eliminated early on in both ELEAGUE and the major, it was impressive for a team to go so far in such a short amount of time. Optic had acquired tarik from CLG prior to the Northern Arena finals in Toronto, but due to a family commitment, the team had attended with their older lineup. Then came ESL One New York: 2016 which, in my opinion, was a very crucial tournament for Optic. It was a stage where they could come in and show other teams what this refined Optic line up looks like under the leadership of stanislaw, and just how well their new player, tarik, plays in an offline environment with this team. In their first match up, Optic came up against SK Gaming who were arguably the best team in the world at the time. The match finished 16-10 on Train, and it was a formidable fight from the Optic side considering they were coming up against the likes of SK. tarik managed to put up decent numbers considering the scoreline, going 21-20 with 78.1 ADR and a rating of 1.02. At the top of the Optic scoreboard was NAF with 27-19, 107.2 ADR and a rating of 1.60 which, as a side note is a great individual performance considering Optic’s loss to the Brazilian side. In their second match up in the Brooklyn based tournament, Optic came up against Fnatic and lost 16-3. For Optic, tarik lead the scoreboard with 12-17, 75.3 ADR and a 0.71 rating. By this point Optic had lost two matches and were on life support, fighting for survival in this tournament. However, they did manage to turn their tournament fortunes around against G2 in a very impressive victory. 16-7 was the final score for the G2 vs Optic match. This was huge for Optic. It was their first win in this tournament, and it was to send a team home. The team had performed well all round on the scoreboard, with everyone staying even or going positive on the scoreboard and posting up impressive ADR scores and overall ratings. Optic then came up against Astralis, who were suffering problems of their own as a side that under-performed severely considering the talent at their disposal. Optic managed to close the game out 16-12, and sent Astralis home, just like they did to G2. There were some clutch individual plays such as this clutch from tarik, as well as this one, this and this from NAF and finally this play from RUSH. It looked like a completely different Optic side, one filled with confidence and swagger as they strolled into the G2 and Astralis games and claimed two big European scalps with some nice individual and collective play. They even came ridiculously close against Virtus.Pro, losing 16-14 on Cobblestone, which sealed their elimination from ESL One: New York. The Optic side, for the large part posted up great numbers against the veteran Polish side, and a narrow loss to a team that can be considered the best in the world is nothing to scoff at. Optic’s run at the ESL Pro League Season 4 finals could have been considered somewhat of a success – they did manage to claim a 16-2 victory over Liquid and managed to beat Immortals 16-4 in Brazil. They lost to mouzsports 16-10 and 16-5 to nV. This placed them third in their group with a 2-2 record, and they would go on to face eventual winners in the Round of 6, Cloud9. They lost the BO3 2-0 and were eliminated from the tournament. It really looked and felt like that team, in particular tarik, were confident in their playing style. It also looked like tarik finally has a good team around him, which at one time could have been said for CLG but when pita decided to return as a player instead of finding a fifth player marked the end of that possibility with CLG. Then came Optic’s first international LAN victory at Northern Arena Montreal 2016. Optic had started off reasonably strong in their group.. This match ended 16-6, with the whole team performing well, but tarik was a standout performer, putting up a 26-8 scoreline with 120.1 ADR and a 1.93 HLTV rating. A performance contrary to their match against NRG – it seems like Optic struggle on Nuke, and it make sense. Nuke blows as a competitive map. Once again, from a statistic standpoint not much can be said aside from the fact that it was a well rounded performance, although it seems like the rest of the team, in particular mixwell picked up the slack from the outlier in NAF. Then came time for Optic’s revenge against Heroic. It’s kind of ironic in a way, since Heroic beat Optic at Northern Arena Toronto, and then Optic beat them at Montreal. Classic revenge story. Optic managed to oust Heroic 2-1 in a best of three, edging them out on Cache 16-10 and thrashing them 16-4 on Cobblestone. Looking at this, it seems like tarik & mixwell pulled Optic kicking and screaming through this semi-finals series, and it’s not hard to see why. Despite the scoreboard being close between NAF, stanislaw and RUSH, it felt and looked like tarik and mixwell exceeded expectations and took the fight to Heroic and it shows in their numbers. Overall another well rounded performance by Optic but IF tarik and mixwell had not been performing at such a high level in this semi finals series, Optic would have struggled to close it out. The finals came around. G2 vs. Optic. G2 were probably looking for revenge on Optic since Optic were the team that sent G2 home from ESL NYC. The best of three series consisted of Cobblestone, Dust II and Train being picked. Optic lost 16-14 on Cobblestone, won 16-12 on Dust II and 16-7 on Train. They had gone and won an international LAN event. This game was highlight reel central. Go and have a look for yourself. Individual plays from every player across the board on Optic kept them in the series and won them crucial rounds, or saved them from trouble. Of course, each player put up some great numbers – with Optic’s lowest ADR score, which was 72.4 on stanislaw, being higher than G2’s second ADR score in the form of bodyy with 71.7. It just goes to show that it looks like everyone on the team is having an impact wherever they play or whatever the situation is, and it’s crucial, in my opinion in a teams success – every player must have some sort of significant impact throughout a BO1 or a BO3, and it showed in this BO3 final vs. G2. Of course the standout for this game is mixwell, but the whole team definitely pulled through on this one to get Optic that trophy. Again, a name that has stood out throughout most of Optic’s offline tournaments since his arrival has been tarik, which just reinforces the point that he finally has a good team around him. Mixwell is also up there as another big performer, and has been relatively consistent with it. Another crucial component of this team, in my opinion is the fact that stanislaw can call the shots and be an in game leader and put up some decent numbers as a fragger, which means that Optic isn’t lacking any sort of firepower whilst stanislaw is calling, which is something that we don’t see too often around IGL type players – they usually call or micromanage and it affects their fragging performance, but with stanislaw it looks like he’s managed to find the balance between calling and putting up decent numbers for himself. It’s obvious that Optic has a roster that has the potential to play well at any given time against most opponents. It’s evident, particularly in their victories that at least two players are able to go off and take over the game. If there’s not one or two standout players in Optic’s victories or even their close defeats, it’s at least 4/5 of the team pulling together and performing well to provide a close loss result or a victory, whether close or not. On top of everything else, Optic has three solid hybrid players in the form of NAF, mixwell and tarik. These are players that can both use the rifles and AWP, which is nice because if an AWP isn’t working on one of these players they could simply just toss it to another player who may be feeling more confident with it on the day, or if they wanted to run a double AWP setup they are able to do so with relative ease. So, is this enough to argue that Optic is North America’s best team behind Cloud9? This was one of those maps where personally, I saw Optic running away with it, but Fnatic ended up taking it in overtime due to a few unfortunate rounds that costed Optic. The next match was a BO3 against EnVyUs, for survival. Whoever won this would play Fnatic and the winner of Optic or EnVyUs vs Fnatic would go through to the playoffs. People would perhaps downplay this best of three victory over EnVyUs, but this is a nV side that already look better since the departure of DEVIL and with the addition of Sixer. Diverting attention to Dust II, the map that nV won in this BO3 series, NAF, stanislaw and tarik were the standouts in that particular map, and seemingly managed to carry Optic to a closer scoreline. Whilst mixwell did pull his own weight, RUSH seemingly struggled on this map with a 9-20 scoreline and a 47.7 ADR rating. On Overpass and Cobblestone, Optic looked relatively untroubled finishing the games 16-3 and 16-8 respectively. Overall, across the board, everyone was able to contribute. It just goes to show that when Optic’s players turn up they look very solid as a unit and are all able to put up decent numbers. For a playoff spot at ELEAGUE, Optic had to come up against Fnatic once again, this time in a BO3. This time, it was 2-0 Optic, going 16-5 on Cobblestone and 16-11 on Dust II. The scoreboard, in terms of frags/deaths shows that stanislaw, mixwell, RUSH and tarik were the four players that were able to turn up, sure, but another interesting thing to note is that even though NAF is lacking in frags in comparison to his teammates, his ADR is up there in the 80s. This just shows that even though NAF’s contribution across the two maps might not be that evident on the scoreboard, his contribution was still large considering his ADR across the two maps. The standout performances usually come from tarik and/or mixwell, and are by far and away the “star player(s)” of Optic Gaming. Nevertheless, this roster has shown immense potential and is currently living up to that potential. The string of tournaments Optic has participated in shows that they only really need two players to be able to perform at a higher level to get them wins, but when all five (or four) of them show up, the other team are going to have a hard time. With this string of results, with this new line up, I am of the belief that Optic are a top 2 North American team, only behind Cloud9. At the moment, there are no teams that come close to challenging that. Team Liquid may be able to challenge for that position, but recently they haven’t been able to considering their inconsistencies. Back at MLG Columbus 2016, I would have definitely considered Team Liquid to be the best team in North America, and then with the 2nd place finish at ESL One: Cologne, I would have cemented it. Then with the departure of s1mple and Peacemaker, they seemed to have lost the star power that s1mple brought to the table, and the leadership that Peacemaker brought to the team. Liquid’s inconsistent recent form both offline and online has paved the way for Optic to take the top 2 spot in North America relatively easily, and considering Optic is winning games and performing at a consistent level that spot was theirs for the taking in the first place. Notable examples are Optic coming off of a championship win at Northern Arena and more recently progressing to the playoff stage of ELEAGUE Season 2 as the only team representing North America. Optic have come quite far since their inception to be able to compete at a competent level both domestically and internationally, and are without a doubt one of the strongest North American teams right now. Simply put, Liquid’s inconsistencies in their form and results compared to Optic’s consistent, strong and dominant form against domestic and international opponents has solidified their place as the best North American team, only behind Cloud9 – and their form is reinforced with achievements such as a top 4 finish to the online portion of the Pro League, and then following it up with a playoff spot in the Pro League finals, an international LAN tournament trophy from Northern Arena Montreal and now a playoff spot in ELEAGUE. If Liquid were performing on a consistent and solid level, similar to that of Optic, it would be extremely difficult to decide which side would claim the spot for the best team behind Cloud9, but since Liquid fell off after their solid performance at ESL One: New York, Optic have hit the ground running and have impressed in most of the matches they have played in both offline and online competition. It’s because Liquid and Optic are at the moment polar opposites in terms of results and other team elements such as leadership and the obvious star player, or players, since tarik and mixwell are both capable of consistently performing at a high level, that Optic are clear favourites for the top spot behind Cloud9. As mentioned previously, Optic possess a roster full of potential. Three hybrid players in the form of tarik, NAF and mixwelll, a great rifler in RUSH and an in game leader that can put up some decent numbers for himself. The players in this roster are able to show up and any given time and have the potential to turn the tide of the game and influence the outcome significantly. This also allows for Optic to add variety to their gameplay in matches if need be, which is always important in key matches. On a final note, it’s really good to see tarik on a good team again. Hopefully he is able to continue flourishing and add a level of consistency and unlock the potential that he has and utilise it to make Optic a feared international force. The flexibility, adaptability and talent of the Optic roster has been presented to the Counter Strike world in the past few offline tournaments, has made them a top North American team. Optic’s leadership is strong in both game knowledge and fragging capabilities, their star players (mixwell and tarik) are able to show up consistently in offline and online games, and players like NAF and RUSH are also strong performers. The fact that all of these players are able to show up as a team and has players that are able to show up individually to carry Optic to a win just shows that this team is already a formidable side, and is reinforced by an international offline tournament win in the form of Northern Arena Montreal.